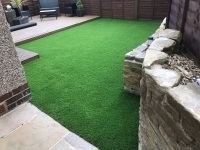 This busy family were looking for extra space at their property for the children to play out in. 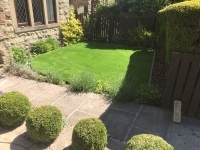 The garden is next to a number of overhanging trees which made it particularly difficult to keep up with maintenance at the garden. 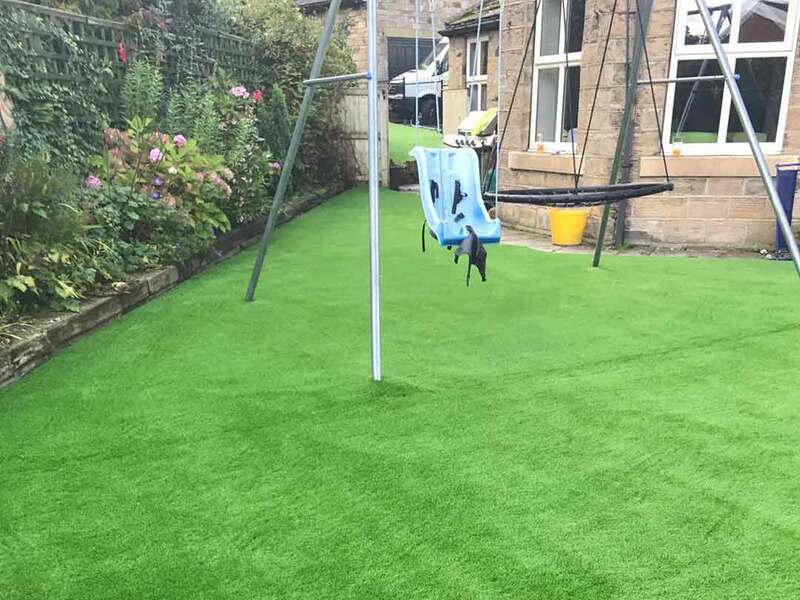 The old grass was very mossy and had trouble with weeds growing through, further disheartening the family’s efforts to get the lawn looking perfect. 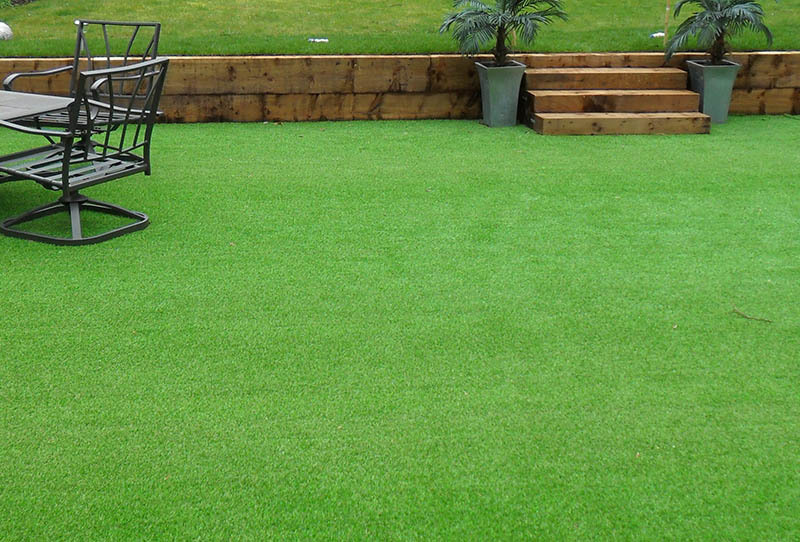 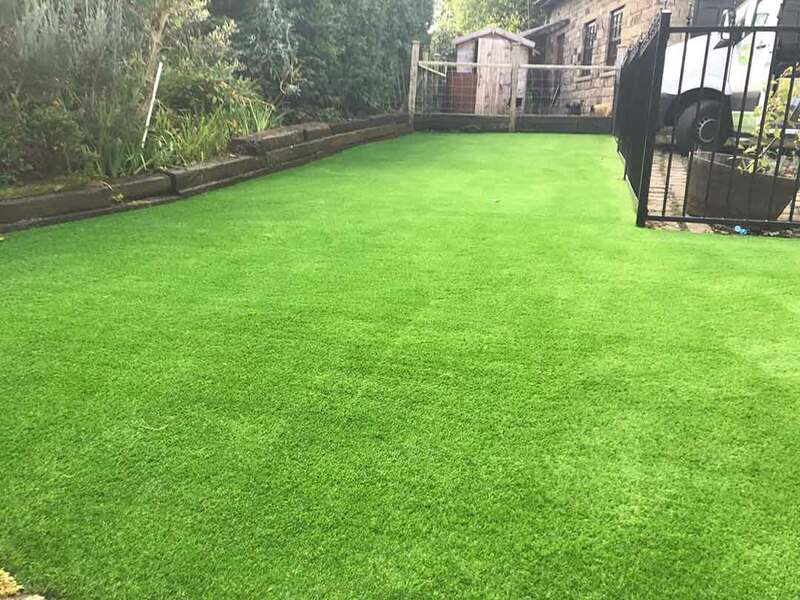 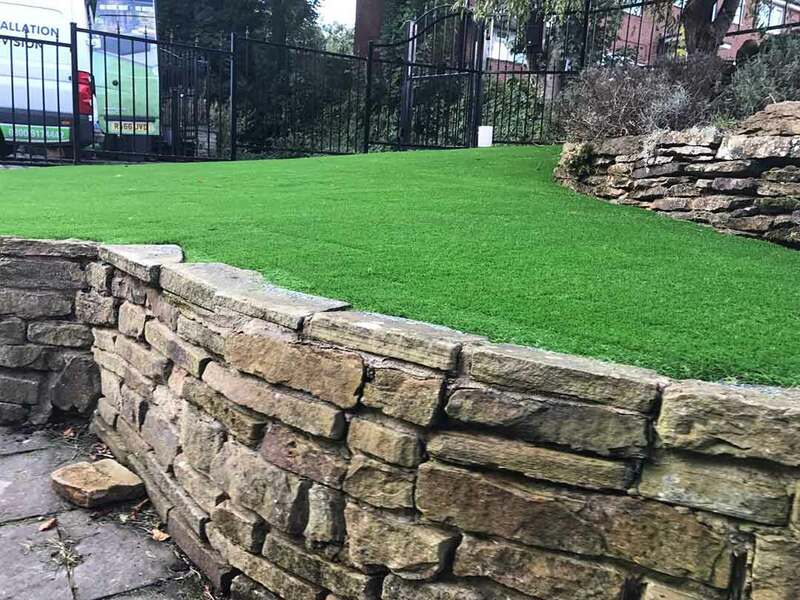 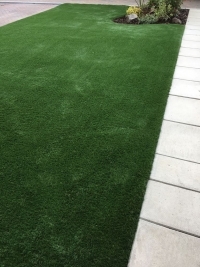 After discussing their requirements with the team at Polished Artificial Grass, the customer opted for our popular 35mm spring back artificial grass. 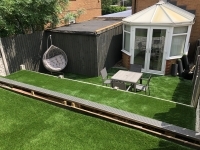 All of our grasses are the same price if we carry out the installation and, owing to the somewhat unorthodox shape of this garden, the customer decided to let our expert team handle the installation of their new artificial grass. 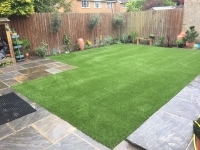 The customer was really happy with the end product and the garden now looks fantastic!